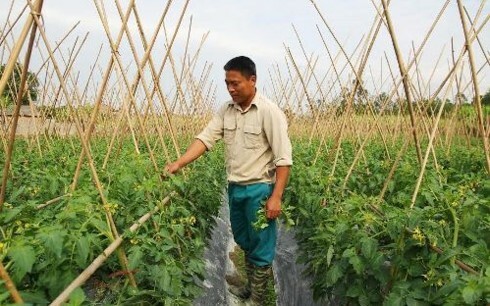 (VOVWORLD) - Do Xuan Dai, Secretary of the Youth Union in Vai Say hamlet, Thai Nguyen province, is known as a successful young businessman with a model for growing safe vegetables. Dai’s business not only earns him thousands of USD per year but also helps boost the incomes of local farmers. Do Xuan Dai and his farm. Do Xuan Dai is in the vanguard of applying technology and using high-yield seeds in agricultural production. 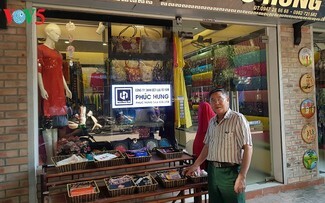 After graduating from high school, Dai went to Ho Chi Minh City to study mechanics and work, but he continued to nurse a dream of developing a business in his home province. “After returning from Ho Chi Minh City, I decided to give up being a mechanic as I recognized that my home village had a lot of farm land but productivity was very low,” said Dai. 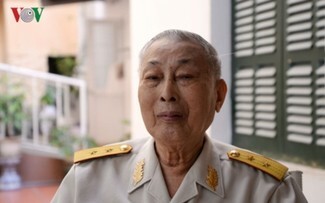 Dai did research and took local courses on agricultural production. In 2008, he worked to improve the purple sugar cane which provided the main source of income of his family. With a little extra income, Dai invested in growing super-sweet pear- shaped melons. For his first crop, he harvested nearly one ton of melons on 700 square meters of land. The pear-shaped melon field in Dai’s commune has now grown to 2 ha that produces 3 crops and generates a revenue of thousands of USD per year. After his initial success, in 2015 Dai established a Youth Cooperative focused on safe agricultural products. The model using advanced technology has attracted a lot of local young people. “My family used to live on a small income growing vegetables. Since I joined the Nong Phuc agricultural cooperative, I have learned a lot of new farming techniques as well as how to apply technology to boost my output. 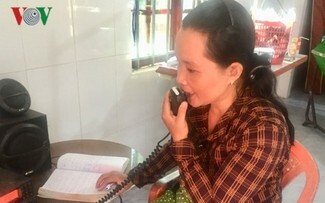 My family’s income has improved a lot,” said Tran Xuan Hong, a cooperative member. 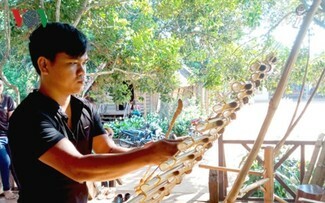 Do Xuan Dai was recently honored as one of 30 outstanding ethnic minority youths in the northeastern region for his contribution to the agriculture sector in his locality.